I wonder if anyone had trouble accessing the patterns for a couple of days? You might have heard that someone hacked the BigDaddy website and caused major headaches for websites everywhere. I also use them to host my patterns through my website. Things seem to be okay for now and hopefully, they've taken steps to make sure that it doesn't happen again. I apologize if you had problems, but for once, it wasn't my fault! In any event, here is one of my new patterns. I seem to have a lot of trouble with cat patterns. I don't know why, but they're just difficult for me to do. I only have a few number of stitches to work with, so it's sometimes hard to get the detail that I'd like and still make the creature recognizable!! Since so many knitters are using the patterns in blankets, I'm trying very hard to keep the stitch and row counts the same so they can be easily mixed and matched. 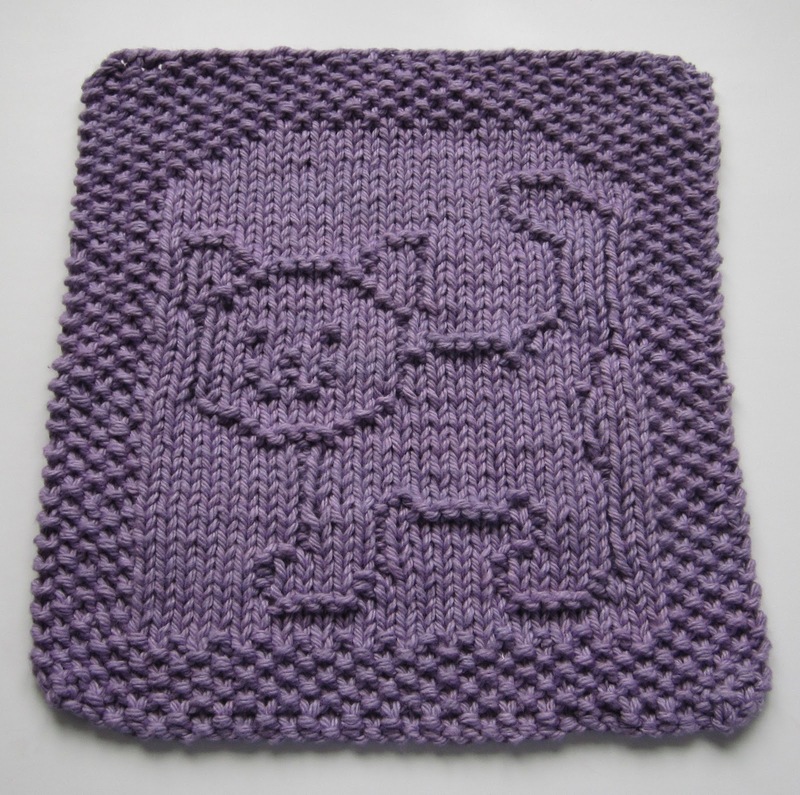 Deb just posted a picture on her website of a lovely blanket she made using my patterns. You can check it out by clicking here . I love seeing all of your pictures, so keep sending them!! Both patterns are in the sidebar, or you can grab the bib by clicking here. The cloth is here. 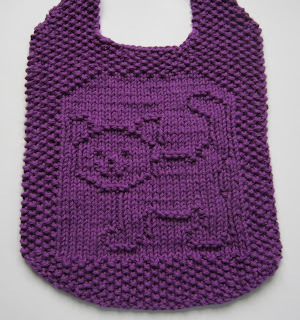 Elaine, this is the Cutest, sweetest pattern yet!!!!!!! Where do you come up with these great ideas? I think GOD has given you a very special talent. Thank you so much for sharing with us. What a lovely pattern. I can't decide what color I want to knit it in. I think a grey or blue would look great. My cousin Susan is having a baby boy in January and we give knitted bibs as baby presents. I'm glad to have some new patterns. 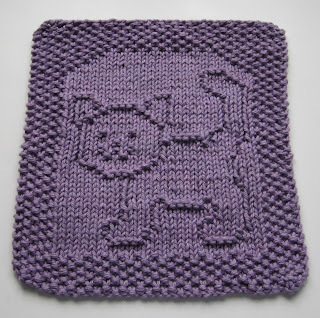 The new mom that I just made the animal baby blanket for has a kitty cat & I was looking for one when I was making the blanket, but I couldn't find one. So, I knitting Gus...the puppy instead. Where van i find thé pattern pléiade ? tried the "A Purrfect Cloth" cat pattern. The face just doesn't look like the face in your pictures. I made it the first time with size 6 needles and then again with size 5 needles. Do you think there is a mistake in the face part?